The Eyegaze Edge® enables locked-in users to communicate with the world via robust, accurate eye tracking devices and software. Setup is easy and calibration takes only 15 seconds. That’s how fast you’ll be connected. Integrate with a cellular device via Bluetooth or WiFi to stay connected with friends and family. Use the internet comfortably in a browser built from the ground up for Eyegaze® input. 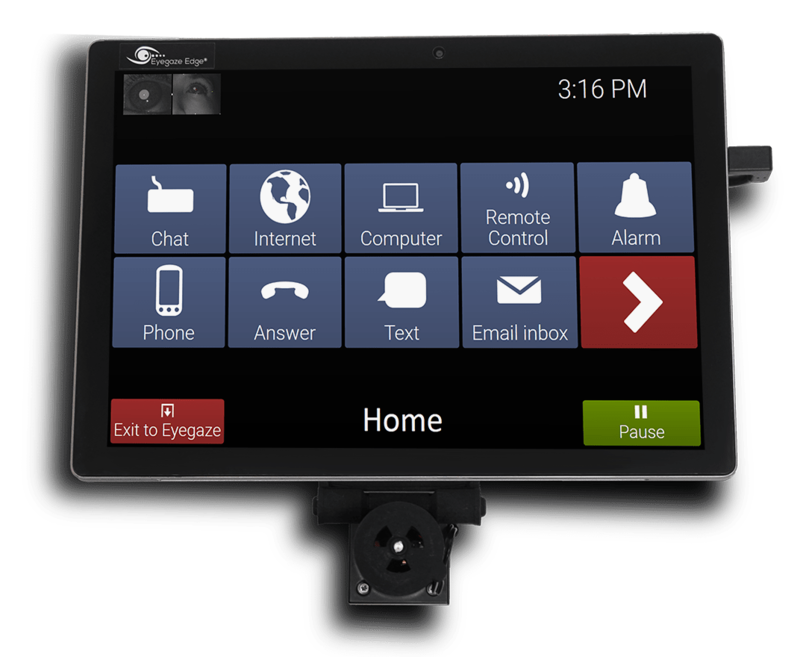 Integrate with popular email providers like Gmail, AOL, Outlook, and Yahoo with an Eyegaze-tailored interface. Specially designed screens and software mean that you’ll never feel tired or fatigued using your Eyegaze®. The Eyegaze Edge® works for users with a wide variety of diagnoses.